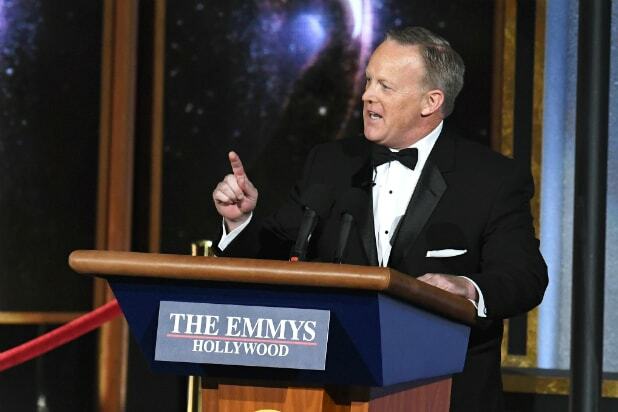 Viewers and audience members — including star impersonator Melissa McCarthy — were visibly shocked Sunday night at the 69th Emmy Awards when former White House Press Secretary Sean Spicer made a surprise appearance Stephen Colbert’s opening monologue. As for members of the press? They’re vexed. And some are just plain mad. Spicer was famously parodied by McCarthy on the Emmy-winning “Saturday Night Live,” and McCarthy’s reaction — along with many others in house at the Microsoft Theater in downtown Los Angeles — was priceless. Spicer made a joke about the crowd size, playing off his comments about Donald Trump’s inauguration having the biggest crowd sizes ever. But media stars were slow to laugh at the memorable moment on Monday. 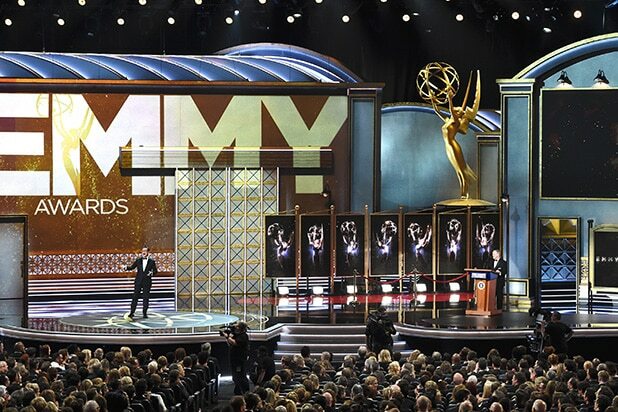 “When U.S. history records the crimes of this administration — and the names of its enablers — Sean Spicer on the Emmys will be a VERY bad look,” tweeted Seth Abramson, a lawyer and guest on networks including CNN and MSNBC. The treatment of Spicer is another breakdown of political norms. If we just joke about and reward people who lie in government, more will.